The passion for Pop Music has been strong since its inception. 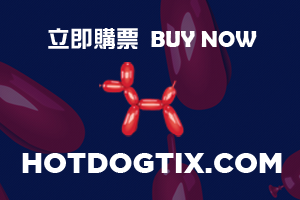 With millions of fans all over the world, Pop Music Culture has been a driving force in the music industry for decades, and has been mature in Hong Kong for many years. But in Hong Kong, it is still very rare to have four full performances outdoors, especially featuring some of the biggest international pop stars. At the same time, Electronic Dance Music (EDM) continues to evolve as a mainstream trend and its influence only grows stronger. EDM festivals are wildly popular – giving people a chance to catch up with old friends, meet new people and celebrate great music together. They’re especially big in Europe and America, where people are highly educated in dance music culture, and Asian countries are the new target markets of many well-developed EDM festivals. Most recently, Japan, Korea and Singapore have hosted EDM festivals – a sign that EDM is trending across Asia.